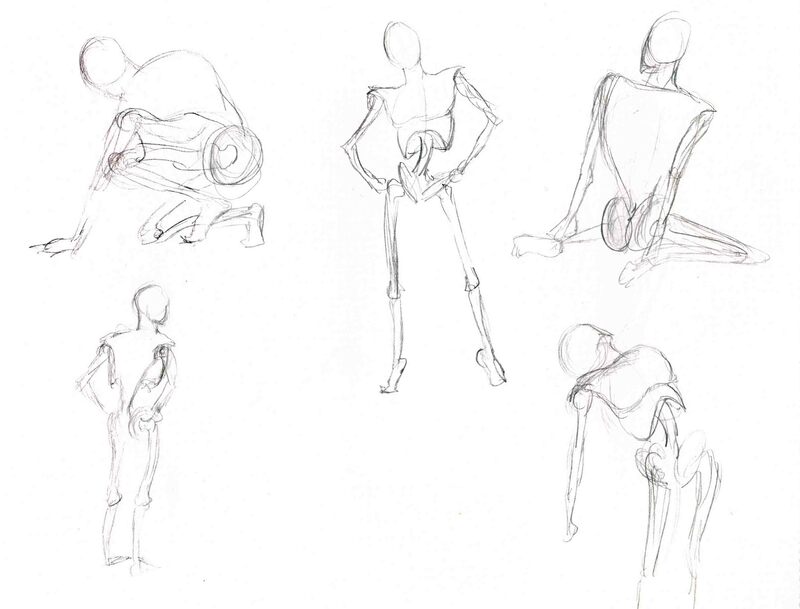 Well, I’ve moved back to Andrew Loomis’ Figure Drawing For All It’s Worth for now. I’m sure I need to try making a lot more of those mannikins on my own, but meh, I wanted to do some book learning yesterday & today. 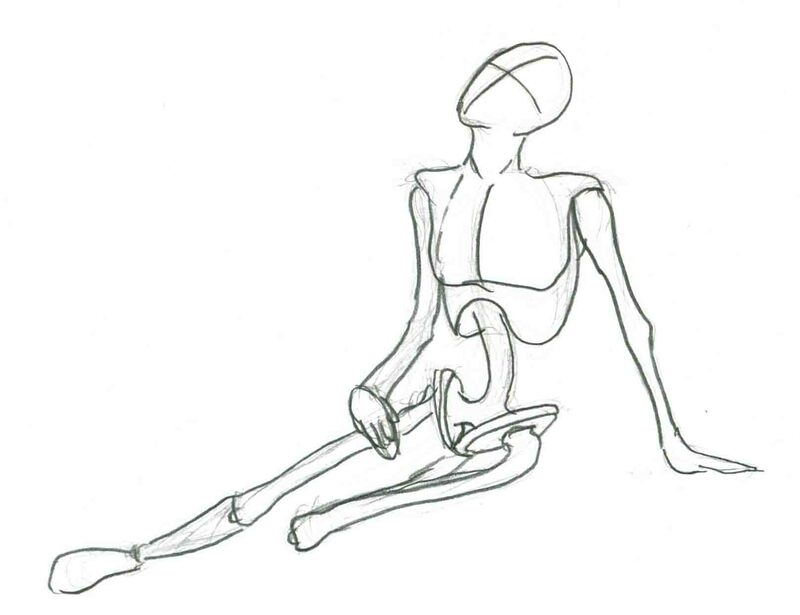 Hoo boy, I chose a couple difficult positions for my mannikin drawings last night. I only did two – I had so little time, so it generally seems like on those kinds of nights, focusing on these &/or gestures is a good idea. Anyways, it was a bit rough. Some obscured limbs, not really seeing the shapes of the figure properly, etc. It’s been a little while since I’ve done any Loomis mannikins, so that’s what I did last night. This one on top was the first one, & kind of tricky with the legs, especially. Mostly because of a partially obscured leg – well, it’s obscured when there’s flesh & muscle on it, but the rest of the leg is partially visible when it’s basically just a skeleton, right? Anyway, it was a bit difficult, so I just sort of fudged it. 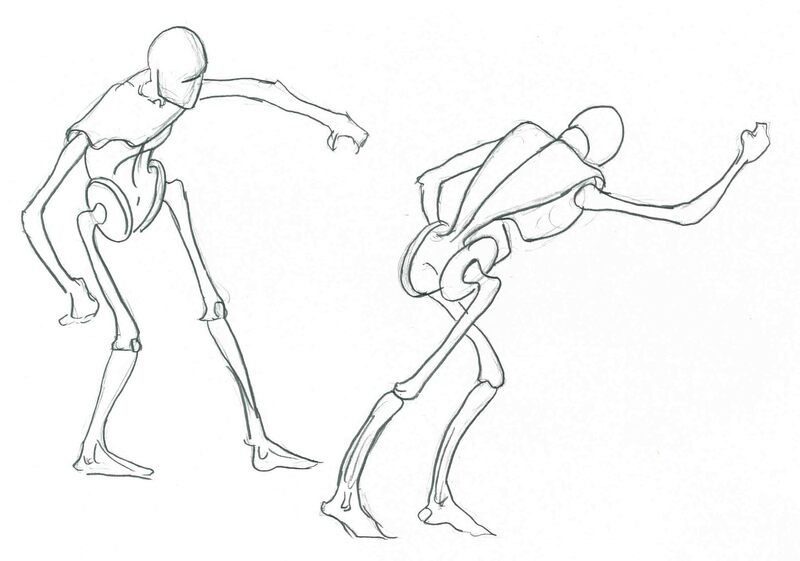 I’m still working on those mannikins (a little) & started doing some gesture drawings the past couple days. The mannikins above were done pretty quickly & are super sketchy – I had to darken it slightly in Photoshop so the lines would show up a little better. And now, my own mannikins! Ok, so when I said yesterday that that was the last of the mannikins, I only meant from that section of the book (although looking ahead a little, I may have a few more to do). I tried doing some of my own last night, with mixed results! 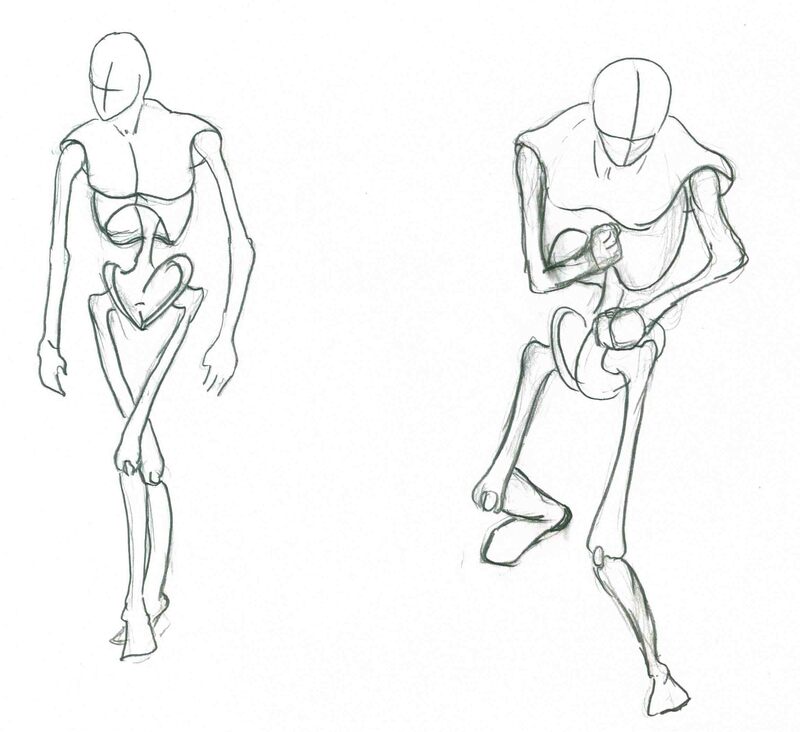 So, these are the last of the mannikin drawings in the section I’m working from in Figure Drawing For All It’s Worth. 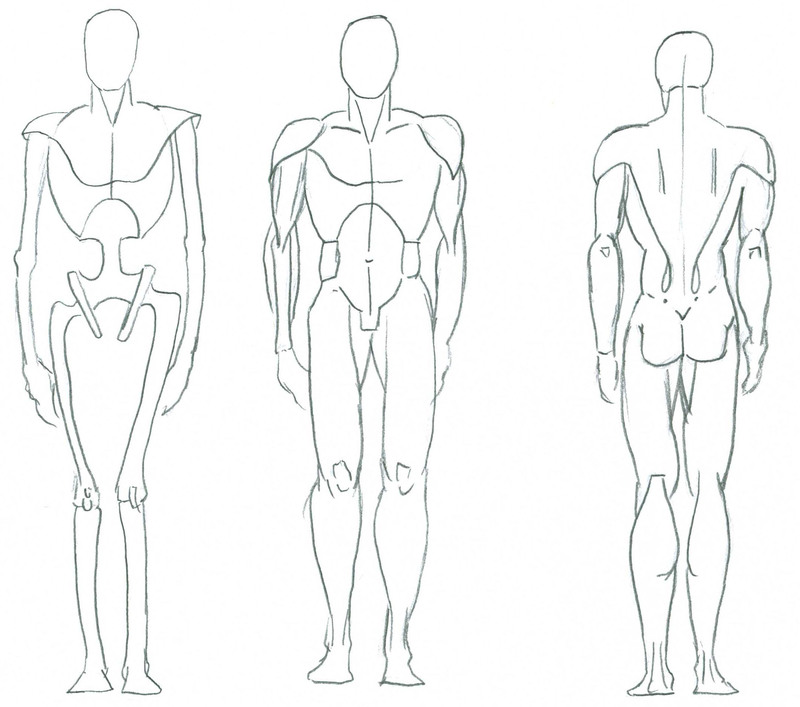 I’m pretty sure I’ll be attempting some of these on my own working from some reference photos.